The Metropolitan Police should be given the power to recover the costs of policing football matches Labour. The call comes after new figures showed that the force spent almost two million pounds policing top-flight football matches in the capital last year. Despite facing budget cuts of 20% the Metropolitan Police was forced to spend an estimated £1,917,030 providing policing services for football matches. Whilst costs for police officers based inside stadiums and on their grounds can be charged to football clubs the wider police presence required outside the stadium has to be covered by the police alone. There is currently no legal right to recover the costs of these services from the clubs themselves. With the Met facing significant further cuts in coming years the Home Secretary needs to change the law to allow police forces to recover the cost of policing top flight games from the clubs. With the Met’s budget expected to face huge cuts surely it’s time that clubs covered the cost of policing their games. If top-flight clubs can afford to pay players hundreds of thousands of pounds a week, they can afford to cover the cost of policing their games instead of expecting the taxpayer to fork out millions to police money-making matches. This is one case where the goalposts do need to be moved. It’s down to the Home Secretary to level the playing field and make sure clubs are properly contributing to the cost of keeping their fans safe. What is the best estimate of the cost to the Met of policing outside the 'footprint' of land owned, leased or controlled by the football clubs? Like all police forces, the MPS supports private sports clubs who hold events under the SPS agreement where additional policing is required on those match days for land owned, leased or controlled by the club. Under present law, the MPS is not able to recover costs for any additional policing outside this ‘footprint’. 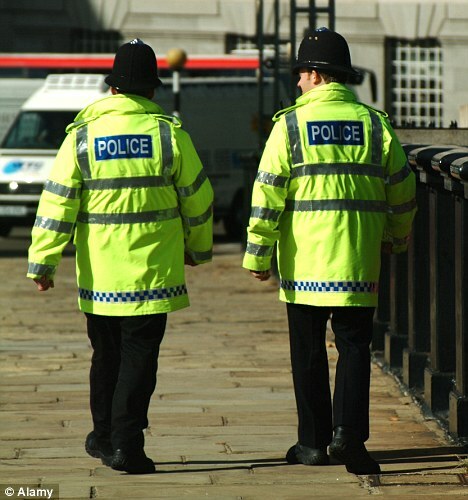 The data, drawn from the Met’s recently launched ‘Confidence Comparator’ found that just 62% of local residents felt police were providing a visible policing presence in Harrow with some areas of the borough seen to be worse than others. In some parts of the borough, this figure was as low as 60%. There is a similar picture forming across the Capital, with 47% of Londoners saying the police do not have a visible presence in their respective areas. The figures have sparked criticism of the Mayor of London’s decision to cut back neighbourhood policing teams from six uniformed officers to only two, with Navin Shah AM calling on the Mayor to put more police officers back into boroughs. Since the current Government came to power 4,333 police officers and PCSOs have been lost from London’s streets, including 105 from Harrow. The Mayor commissioned a review of the new neighbourhood policing units in July 2014 but has so far refused to release the review’s findings despite concerns that the new setup is leaving neighbourhood policing stretched. The worrying confidence figures come only a week after it was revealed that violent crime in the capital rose 22% last year, rising by 14% in Harrow. It’s now very likely that the Mayor will miss his target to increase public confidence by 20% and it’s not hard to see why. The cuts to police numbers and the Mayor’s decision to dismantle neighbourhood policing teams have clearly been noticed by people in Harrow and indeed across the Capital. It’s increasingly clear that we need to see more officers back on the beat in our local neighbourhoods. - The ‘Confidence Comparator’ found that when asked ‘how well do you think the Metropolitan Police provide a visible patrolling presence?’ just 53% of Londoners answered they felt their police were doing “well” or “to some extent” providing a visible policing presence in their neighbourhood. - Percentage scores for confidence in the police are derived from a rolling yearly questionnaire of over 12,000 Londoners as part of the Public Attitudes Survey (PAS).